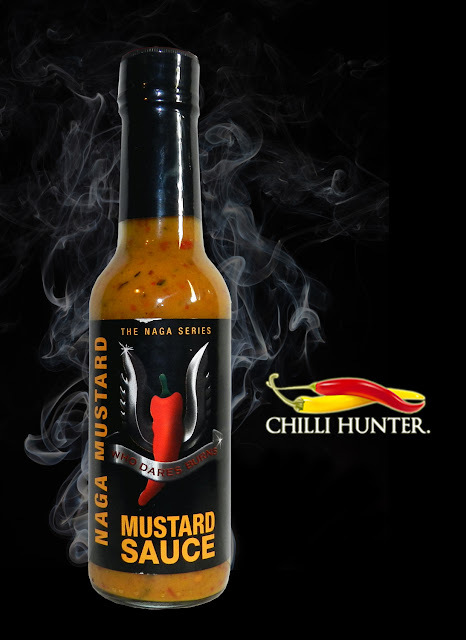 Naga Mustard Sauce. What’s not to like! The smell is of a good quality mustard with a lovely deep tan colour. Its a thick sauce with lots of pieces of naga, onion and roasted habanero giving it a great course texture. The heat comes a few seconds after the initial flavours and lingers for several minutes, Its a surprisingly good burn that had me reaching for the milk! The Hot-Headz brand is going from strength to strength, I must make a point of trying more of Stuarts products.